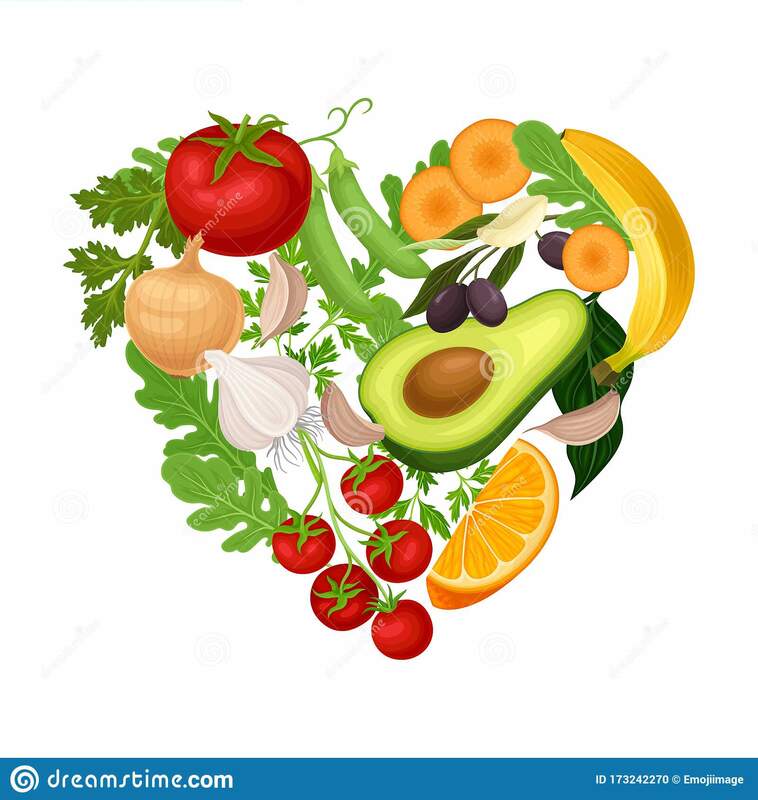 Some people doubt you can compete without eating the meat, partly because they consider plant-eaters don’t get enough quality protein from their humble beans and kale etc to grow big and strong. Well, those doubts can be left behind, along with the rare steaks and protein powders, when you hear about people like Vanessa Espinoza. 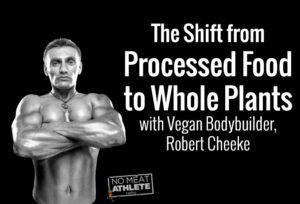 She’s a vegan powerlifter, and co-author of the excellent book, ‘Plant-Based Muscle‘1 , and she’s just set yet another powerlifting record. 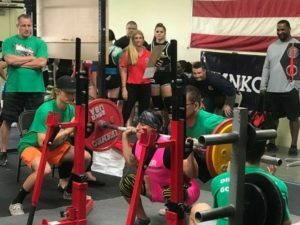 Last weekend, she competed in the United States Powerlifting Association (USPA)2 Southwest Desert Classic (May 26, 2018) in Surprise, Arizona, USA. The USPA is the most prestigious powerlifting federation in America. At a bodyweight of 132 pounds/59.8 kg, and as a vegan athlete of 18 years, at age 35, Vanessa bench-pressed 236 pounds/107 kg, over 100 pounds/45 kg more than she weighs. She also squatted a conservative 303 pounds/137 kg, and deadlifted 402 pounds/182 kg (more than three times her bodyweight), for an elite total of 941 pounds/426 kg, combining the best successful lift from each of the three powerlifting exercises. 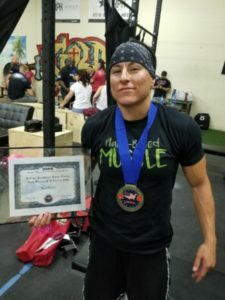 Vanessa also won her weight class, and she won the “Best Female Lifter” award for the highest overall total, even though she was one of the lightest weight powerlifters in the competition. Vanessa Espinoza completing a squat, while her coach, Doug Tice, looks on. 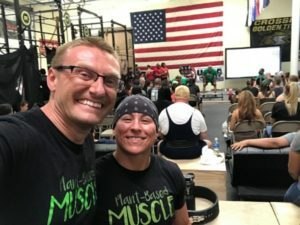 After setting records in each of her first two powerlifting competitions, in the Revolution Powerlifting Syndicate (RPS)3 federation, already at a world-class level, Vanessa and her coach, vegan powerlifter Doug Tice4 , decided to take Vanessa’s strength and talents to the best competition in the most prominent federation. Once again, the results were the same. Another record. Setting records is something Vanessa has become accustomed to. She was an All-American basketball player in high school, and still holds records at Colorado State University where she played Division I basketball before being drafted into the WNBA. She also won the Colorado Golden Gloves5 boxing title three times. And in three powerlifting competitions, she has set records in every one. In due time, her only competition may be her own previous records. She is that strong. To view photos, watch videos, and follow along with Vanessa’s powerlifting career, follow Vanessa6 and Doug7 on Instagram, and check out our Vegan Bodybuilding & Fitness Instagram page8 for some recently uploaded videos from Vanessa’s competition.